Experimenting with KDP Select this weekend! Just a quick note to let you all know that I’m experimenting with the KDP Select Program this weekend to see if I can raise awareness of Eeek! in the USA. I’ll be blogging about how it went in due course. Eeek! has won praise from parents and teachers alike as being a great book for boys and for reluctant readers – and several schools have contacted me to say they are using it as class readers! It has also been included on the respected website LoveReading4Kids in their reluctant readers’ category which is curated by Julia Eccleshare of The Guardian and The Literacy Trust. In principle I’m against KDP Select, because it restricts authors to marketing their e-book exclusively through Amazon. However, since Eeek! is only on Amazon at the moment and 99% of sales are in print which I still get paid for, I figure I have nothing to lose. Rather I will see if I can use KDP Select for my own PR ends. Whether or not it will work is another matter – I will report back in due course! I’m hoping that this exercise will also lead more readers also to discover The Secret Lake which has had fabulous reviews both here and in the UK and continues to sell 150-200 copies a month in the Kindle store and regularly in print. Ferdinand Fox’s Big Sleep – coming soon! Another quick bit of news is that I’m pulling together the final illustrations and layout for my first children’s picture book – Ferdinand Fox’s Big Sleep! Suffice it to say it’s a steep learning curve and I shall blog about the process once the book is out in the big wide world! I hope that will be by November 2012…so keep it in mind for Christmas if you have 3-6 year-olds who enjoy rhyming stories! In the meantime you can get more previews of illustrations on Ferdinand Fox’s Facebook page ! 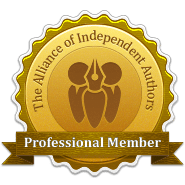 I promised months ago that I would update my blog after joining the Alliance of Independent Authors. Working five days a week has prevented me from doing so alongside everything else – however I just want to say that it is a fantastic group to be part of if any of you following me are self-publishing and haven’t looked into it. They have a wonderful blog, loads of resources and a great ‘closed’ Facebook page where you can get fast feedback from other self-publishing authors. That feeling of isolation as a self-published author is now long gone! We even now have access to someone who will review our books for translation rights. 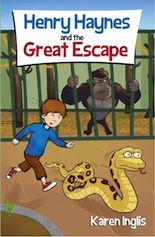 This entry was posted in Uncategorized and tagged children's books, KDP select, self publishing. Bookmark the permalink. I agree about the restrictive nature of KDP Select but I am at the moment happy enough to concentrate on Amazon, trying to keep up with other outlets is awfully complicated and there are Kindle Apps for iPhone and Android. I really find the marketing side of this very difficult so if anybody does look me up and downloads it (and likes it!) then a nice review would be helpful. As I am sure everyone who does this will say – its free so there is nothing to lose. However what I will say is that whilst the first 3 days were easy to set up, when I tried to ‘Add’ 2 more days for the beginning of next month all that continually happened was that i got an error message saying there was a temporary problem. Well this problem has lasted for days! I am hoping this error will clear once my first 3 days are up. Cheers. I see you have ‘Eeek’ a runaway Alien. i have ‘Astro from Astroworld in my collection of children’s short stories. I have just ‘bought’ it for free. I will give it a review – I just hope I like it !!!! Good luck with Eeek! I tried KDP Select for three months, but decided to never do it again, precisely for the reasons you mentioned. I wrote a blog for each month, so if interested, you can check them out on my site at http://www.jameswlewis.com.